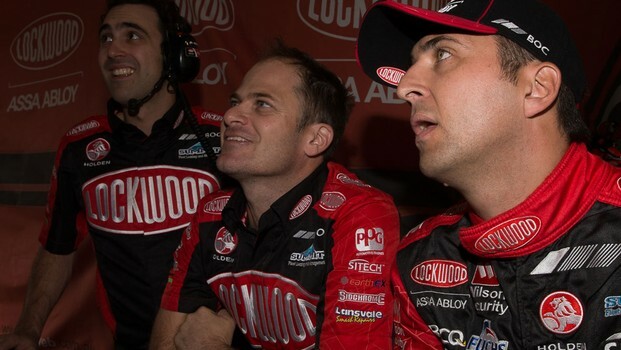 Winning Bathurst would be a dream come true for Luke Youlden – and doing it alongside his friend, Lockwood Racing's Fabian Coulthard, would be extra special. That possibility is one step closer today after Youlden was confirmed as Coulthard's co-driver for this year's Season of Endurance, including the Sandown 500 and Bathurst 1000. “I've never been involved with BJR, except that they were an arch-rival when Andrew Jones and myself were going at it in the 2004 DV Series!” Youlden said. “I've obviously picked a fantastic time to join the team with their recent form. "It seems to be a very a harmonious team. I had to really rely on Fabian's word about that initially, as I'm obviously very new there, but from what I've seen so far he's definitely right. That's very important to me because I believe you need an environment where everyone works together to win a race like Bathurst. That's a lesson I've learned from being involved with teams where you seem to win together but make mistakes as an individual. "I know Fabs pretty well; he was instrumental in getting me across to BJR. It would mean the world to me to win Bathurst and to do it with a mate like Fabian would be something extra special. 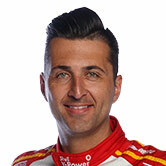 Youlden won last year's co-driver qualifying race at Sandown and is the perfect match for Coulthard's height, making driver-changes and seating position much easier. 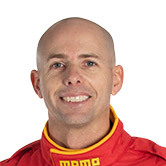 "Going into Sandown this year I'm the reigning co-driver race winner and have sat on pole position and led the first half of the 500km race for the last two years," Youlden said. "I'm very much looking forward to getting a hat trick of pole positions with BJR this year and with the pace they've shown so far, we have a definite shot at it." Testing for the enduros will begin at the start of June and Youlden is excited to get his first taste of this year's new-spec V8 Supercar.